Pancakes. They are a staple in this house. While the directions point out, “just add water!”, I need to feel good about what I am feeding my kids, so I throw in some eggs and milk and call it a balanced morning meal. Once my husband and I even went so far as to chop up some spinach and add that to the mix. The kids ate them! We should do that more often. But this post isn’t about healthy trickery. He apparently could only find Barbie paper to write on. 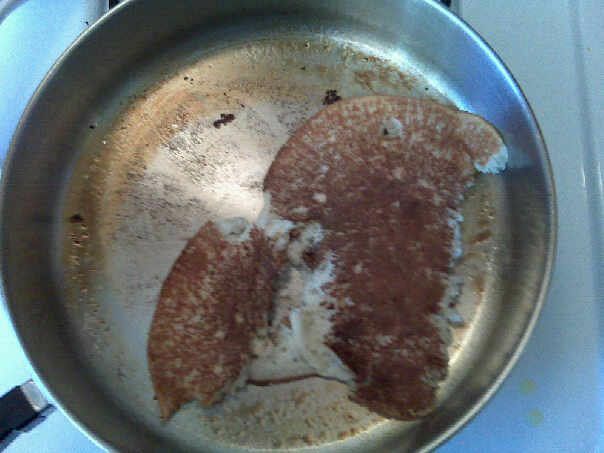 This was supposed to be a Pancake. I mean, it IS a Pancake. I am not very good at this. 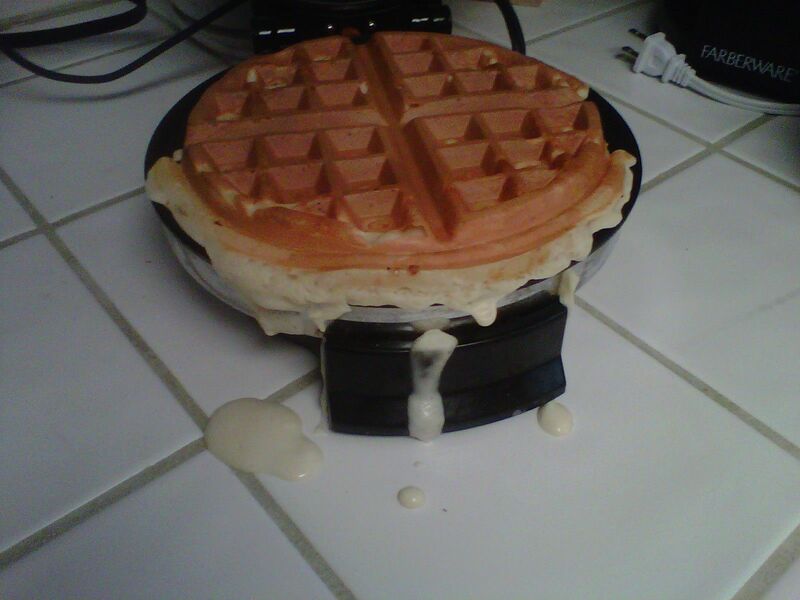 The mixture is always too runny or too thick, too lumpy, or not lumpy enough. Maybe it’s the pan. Some of my pancakes burn and stick to the pan. But some of them halfway make it and I serve them. My husband’s pancakes? Perfect and pretty and adorned with chocolate chips. You won’t see a picture of THAT on this blog. He doesn’t need anymore culinary props. 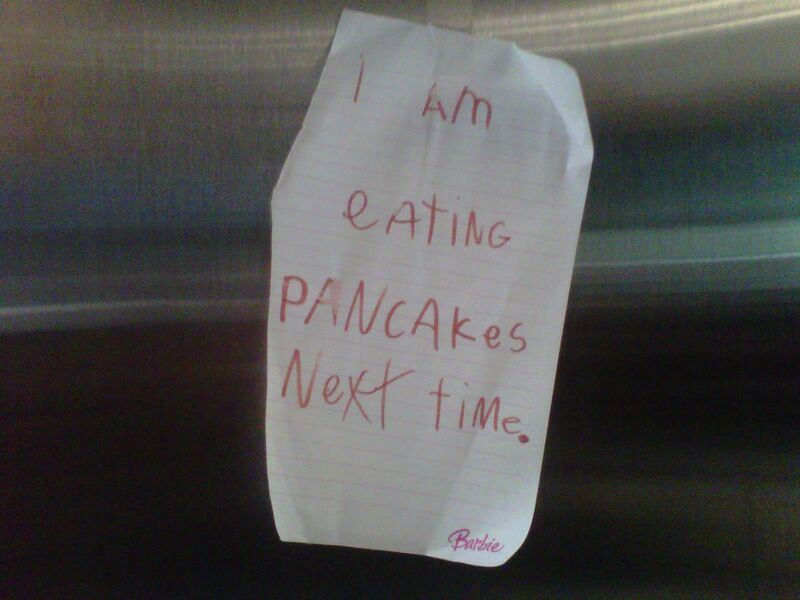 But it never occurred to me that my kids might not be so fond of my pancakes. Slap some syrup on anything and it is delicious, right? A pancake is a pancake is a pancake. A little crispy on one side? Serve it with the other side showing! The kids never know, and eat it anyway. I was secure with this assumption. 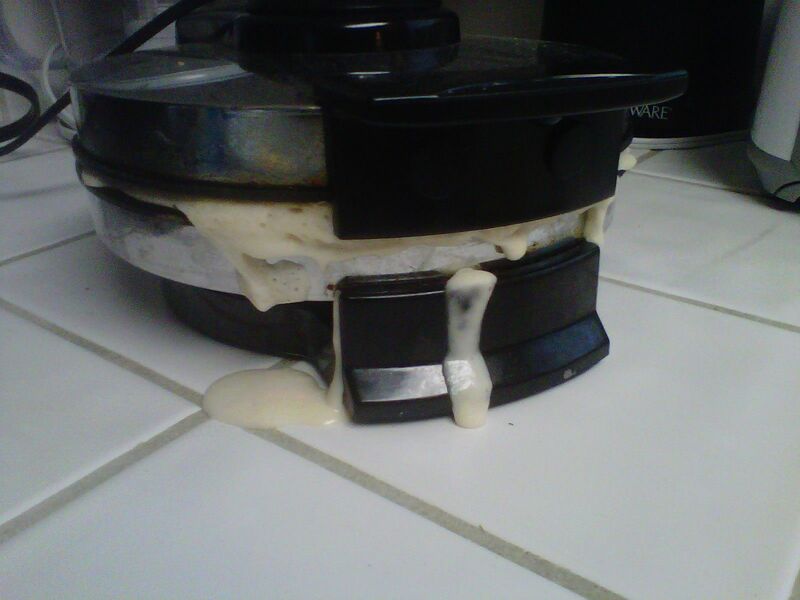 Last month, on a day like any week day, I was getting ready to make a batch of pancakes. I had the mixing bowl out, the whisk was clean, the pan was sprayed and heating, the eggs were ready to be cracked. As I started mixing, my 4 year old daughter sat down at the table with a piece of paper and a pen. She was writing something. I asked her what it was. Fine then. Message received. Loud and clear. I think I offered her a granola bar. the Summer before my oldest child was about to enter the colorful world of Preschool, we got a call from his new teacher. she called to say YAY he was in her class and that she wanted to COME TO OUR HOUSE and visit with him before school started. he was almost 4. and child #2 was almost 2. so, ya know, picture my house. the inside of my house. i panicked a little, but i had about a week to get it organized and get that smell out of the carpet (milk? moldy cheerios?). i made sure the kids books were put away on their little book shelf, that their toys were organized, that the kitchen was clean (what if she helps herself to a glass of water? ), that the dog poop was picked up (what if she wants to throw a ball around in the backyard? ), and that the bathroom was de-grossed. in our house, the fancy guest bathroom moonlights as a kids bathroom. so, yeah. on Home Visit day, i made sure to remain calm and not scowl at the kids and give them whatever they wanted to avoid tantrums at all costs. i had an urge to run to the hardware store and grab a few plants to brighten up our porch, but decided a better plan would be to just watch out the kitchen window for her and then hurry her in so she wouldn’t linger long on the flowerless porch. but i got distracted (darn!) and before i knew it she was knocking and spent a few seconds on the porch. my soon-to-be preschooler ran and hid. double-darn. i picked up my 2 year old, opened the door, and invited the new Teacher in. she was happy and all smiles and just what you’d want in a Preschool Teacher. i showed her the living room and said i’d go find my preschooler, and she said “that’s ok, let him come out of hiding when he is ready.” nicely done, Teacher. so we chatted a bit and i relaxed. and then my preschooler came out of hiding. crawling down the hallway. under a blanket. like a moving pile of laundry. into the living room, and stopped at the Teacher’s feet. well, this was new. i am pretty sure i blushed. but the Teacher just laughed and pulled the blanket off and said “hey there! what a cutie you are!” and he giggled and joined us on the couch. phew. WHAT. WE DON”T LET HIM PLAY THE BOXING GAME. is this kid for real? i was stunned. and quiet. i was too quiet. i should have said something. the Teacher was very kind and nodded and said “my kids like that game too.” she didn’t look my way, but if she did, she would have seen my eyes doing the morse code for “this kid is a liar”. and i wanted to hide. my husband has a running joke with our son. and it consists of this word. they just say “awkward!” at random things and then laugh. so, yeah, that happened. all in all she was very sweet, and my son was in her class for 2 years, and child #2 had her too. and she never did get that glass of water, play in the backyard, or use the bathroom. but if i hadn’t cleaned them, you better believe she would have. i saw the dentist 6 weeks after i had my third child. baby #3 slept through the whole appointment. i was cheered by the staff for having such a sweet baby. my baby behaved. my mouth…not so much. the inflamed gums, the unflossed teeth, the plaque. the dentist nicely acknowledged i just had a baby! i wasn’t sleeping! who has time to brush? so an appointment was made to come back in four months when i for SURE would have my life back together, my hormones in check, and ample time to make nice with the floss. i canceled that appointment. pushed it back 2 months. i don’t even remember the conversation, something about “i don’t wanna”, and ta-da, i had an appointment on Valentine’s Day. so with my two older kids tucked away at school, baby #3 (now 7 months) and i trekked the 15 minutes to the dentist. he cried the whole way. i nursed him in the car in the parking lot, an old lady smiled at me through the window, yay, and 10 minutes later, a happy baby and i strolled our way to our appointment. baby #3 was well behaved again! for 5 minutes. and then it just got uncomfortable. “um, no thanks, i don’t feel comfortable with having X-rays, cuz, i’m still nursing.” and i pointed to the baby in the stroller for back-up. “it’s just how i feel.” and i smiled. to show her my teeth. just clean them! i wanted to shout. while the baby is still happy! “ok, so, your mom instincts, that’s ok, i don’t want to force you to do anything you don’t want to. we’ll just do the cleaning today.” Finally! so i reclined in the dental chair and got comfortable. and then baby #3 got uncomfortable. and he cried. and they handed him to me to hold. while i was reclined, in the dental chair, with my eyes closed, and my mouth open with dental tools scraping away. i tried to bounce him on my legs. he bit my finger. and then the dentist called to the hygienist to come back in to the room, for sure to take the baby and calm him down, right? “do me a favor? get the camera and take a picture of mom and baby, they are so cute here in the chair!” seriously? when i get the promised copy, i’ll post it here. i am SURE when i get it, i will LOVE LOVE LOVE it and immediately tape it to the baby book, but at the moment, it was just insane. i heard her squeal when she got the baby to smile for the camera, but i couldn’t see, nor ask, cuz, you know, eyes closed and mouth open with instruments scraping. anyway. touche. well played. see you in 6 months. for X-rays.